Why Not One Another Each Other? Why Not One Another Each Other? – a simple way of thinking about how to spend time with your simple church family! As I meet with people transitioning to simple church one of the more common questions I get is “What are we supposed to do when we meet together?” This question is understandable as “what we do at church” each week is usually determined by the church staff and that, for the most part, has not veered to far from the Opening Prayer-Opening Song-Announcements-More Songs-Special Song-Sermon-Offering-Closing Song-Closing Prayer format–regardless if you attend a small church or a mega church. Of course you could try this in simple church, but most have found that to be…well awkward. So why not “one another each other?” Below is a list of the “one-another” and “each other” passages found in scripture. The beauty of simple church is that you can actually put many of these into practice each week when you come together. Regardless of the kind of church you are a part of, could you find one of these that you could put into practice this week when you gather with your church family? Leviticus 19:11 “‘Do not steal. “‘Do not lie. “‘Do not deceive one another. John 13:14 Now that I, your Lord and Teacher, have washed your feet, you also should wash one another’s feet. 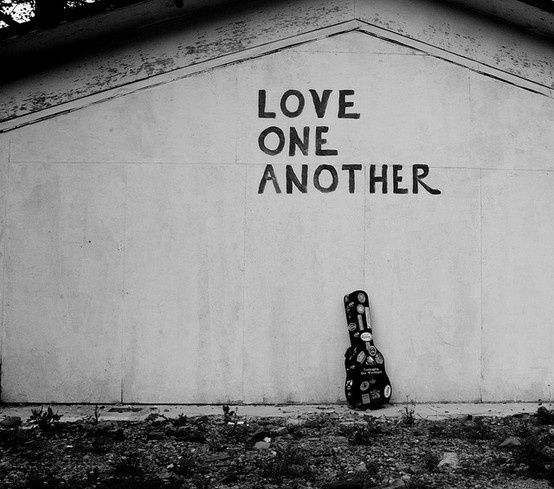 John 13:34 “A new command I give you: Love one another. As I have loved you, so you must love one another. Romans 12:10 Be devoted to one another in brotherly love. Honor one another above yourselves. Romans 12:16 Live in harmony with one another. Do not be proud, but be willing to associate with people of low position. Do not be conceited. Romans 13:8 Let no debt remain outstanding, except the continuing debt to love one another, for he who loves his fellowman has fulfilled the law. Romans 14:13 Therefore let us stop passing judgment on one another. Instead, make up your mind not to put any stumbling block or obstacle in your brother’s way. Romans 15:7 Accept one another, then, just as Christ accepted you, in order to bring praise to God. Romans 16:16 Greet one another with a holy kiss. All the churches of Christ send greetings. 1 Corinthians 1:10 I appeal to you, brothers, in the name of our Lord Jesus Christ, that all of you agree with one another so that there may be no divisions among you and that you may be perfectly united in mind and thought. Galatians 5:13 You, my brothers, were called to be free. But do not use your freedom to indulge the sinful nature; rather, serve one another in love. Ephesians 4:2 Be completely humble and gentle; be patient, bearing with one another in love. Ephesians 4:32 Be kind and compassionate to one another, forgiving each other, just as in Christ God forgave you. Colossians 3:13 Bear with each other and forgive whatever grievances you may have against one another. Forgive as the Lord forgave you. Colossians 3:16 Let the word of Christ dwell in you richly as you teach and admonish one another with all wisdom, and as you sing psalms, hymns and spiritual songs with gratitude in your hearts to God. 1 Thessalonians 5:11 Therefore encourage one another and build each other up, just as in fact you are doing. Hebrews 3:13 But encourage one another daily, as long as it is called Today, so that none of you may be hardened by sin’s deceitfulness. Hebrews 10:24 And let us consider how we may spur one another on toward love and good deeds. Hebrews 10:25 Let us not give up meeting together, as some are in the habit of doing, but let us encourage one another– and all the more as you see the Day approaching. James 4:11 Brothers, do not slander one another. Anyone who speaks against his brother or judges him speaks against the law and judges it. When you judge the law, you are not keeping it, but sitting in judgment on it. 1 Peter 3:8 Finally, all of you, live in harmony with one another; be sympathetic, love as brothers, be compassionate and humble. 1 Peter 4:9 Offer hospitality to one another without grumbling. 1 John 1:7 But if we walk in the light, as he is in the light, we have fellowship with one another, and the blood of Jesus, his Son, purifies us from all sin. 1 John 3:23 And this is his command: to believe in the name of his Son, Jesus Christ, and to love one another as he commanded us. 1 John 4:7 Dear friends, let us love one another, for love comes from God. Everyone who loves has been born of God and knows God. 1 John 4:11 Dear friends, since God so loved us, we also ought to love one another. 1 John 4:12 No one has ever seen God; but if we love one another, God lives in us and his love is made complete in us. 1 Peter 4:8 Above all, love each other deeply, because love covers over a multitude of sins. James 5:9 Don’t grumble against each other, brothers, or you will be judged. The Judge is standing at the door! Hebrews 13:1 Keep on loving each other as brothers. 2 Thessalonians 1:3 We ought always to thank God for you, brothers, and rightly so, because your faith is growing more and more, and the love every one of you has for each other is increasing. 1 Thessalonians 5:15 Make sure that nobody pays back wrong for wrong, but always try to be kind to each other and to everyone else. 1 Thessalonians 5:13 Hold them in the highest regard in love because of their work. Live in peace with each other. 1 Thessalonians 4:18 Therefore encourage each other with these words. 1 Thessalonians 4:9 Now about brotherly love we do not need to write to you, for you yourselves have been taught by God to love each other. 1 Thessalonians 3:12 May the Lord make your love increase and overflow for each other and for everyone else, just as ours does for you. Philippians 4:2 I plead with Euodia and I plead with Syntyche to agree with each other in the Lord. Galatians 5:26 Let us not become conceited, provoking and envying each other. Galatians 6:2 Carry each other’s burdens, and in this way you will fulfill the law of Christ. Corinthians 12:25 so that there should be no division in the body, but that its parts should have equal concern for each other. Galatians 5:15 If you keep on biting and devouring each other, watch out or you will be destroyed by each other. 1 Corinthians 11:33 So then, my brothers, when you come together to eat, wait for each other. Romans 1:12 that is, that you and I may be mutually encouraged by each other’s faith. Ephesians 4:16 From him the whole body, joined and held together by every supporting ligament, grows and builds itself up in love, as each part does its work. Philippians 2:3-5 Do nothing out of selfish ambition or vain conceit, but in humility consider others better than yourselves. Each of you should look not only to your own interests, but also to the interests of others. Your attitude should be the same as that of Christ Jesus. One that God has been speaking to me is Romans 12:13, “Contributing to the needs of the saints; given to hospitality”. 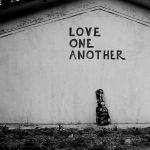 The ancient Greek word for hospitality is literally translated “love for strangers.” In addition, “given” is a strong word, sometimes translated “persecute” (as in Romans 12:14). The idea is to “pursue” people you don’t know with hospitality. This is love in action, not just feelings. I don’t have this down yet but Lord willing He will. Blessings, great post! Thanks Lee Anne for sharing your thoughts here! The Lord has been speaking Romans 12:13 to me lately. “Contributing to the needs of the saints; given to hospitality”. The greek for hospitality is literally translated “love for strangers”. Great post, thanks! This will keep us busy ’til Jesus comes back! The power of oneanothering can change the world. Let’s do it! Francis Chan: Chuck E. Cheese Church? LexPray 2018 – 24/7 Prayer Easter Week! Podcast Turns 4! – New Episode Available! Zúme Project Launches This Week! Fall Network Gathering This Sunday! What In The World Are We Doing? What are you willing to do to spread the word? Podcast: What Is A Simple Church? Podcast: What Is The Church? Keep It Simple Podcast Relaunch! FREE BOOK: So You Don't Want To Go To Church Anymore?